The triple-camera trend has picked up in 2019, and here are 5 phones that you can buy in sub-Rs 25,000 price segment in India. With the growing popularity of triple-cameras on a phone, most manufacturers have now started offering this premium feature in a more affordable price segment. 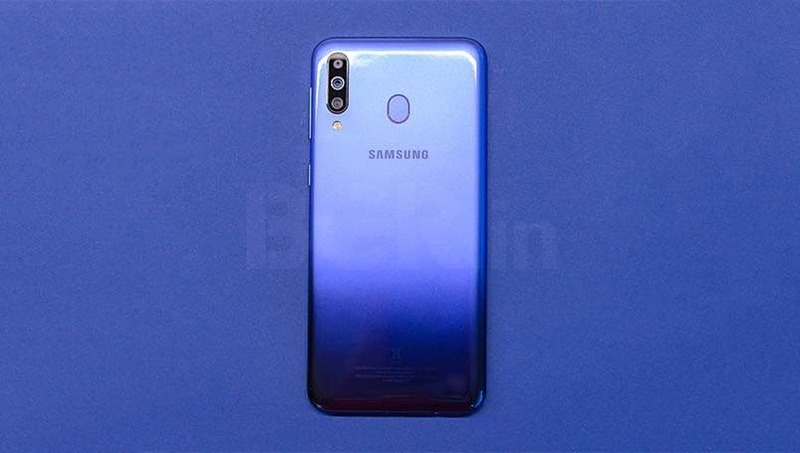 Samsung kick-started the triple-camera rage under Rs 25,000 price bracket last year with Galaxy A7, and continued the trend in 2019 with new Galaxy M and refreshed Galaxy A series. Lately more smartphone makers are taking up the challenge and as a result, we now have these five smartphones with triple-rear camera setup under Rs 25,000 in India. In 2018, Samsung launched its first ever triple-camera phone Galaxy A7 globally (full review). The smartphone packs a 24-megapixel autofocus f/1.7 primary lens, an 8-megapixel ultra wide sensor with f/2.4 aperture, and a 5-megapixel depth sensor. On the front, Galaxy A7 (2018) also gets a 24-megapixel fixed-focus camera with an LED flash. Samsung launched the smartphone at Rs 23,990 for the 4GB RAM/ 64GB storage variant, and Rs 28,990 for the 6GB RAM/ 128GB storage variant. But after multiple price cuts, the Galaxy A7 4GB RAM/ 64GB storage variant now officially retails at Rs 18,990 and Rs 22,990 for the 6GB RAM/ 128GB storage variant. However, on Flipkart and Amazon India, the handset is available at Rs 17,990 starting price as of today. 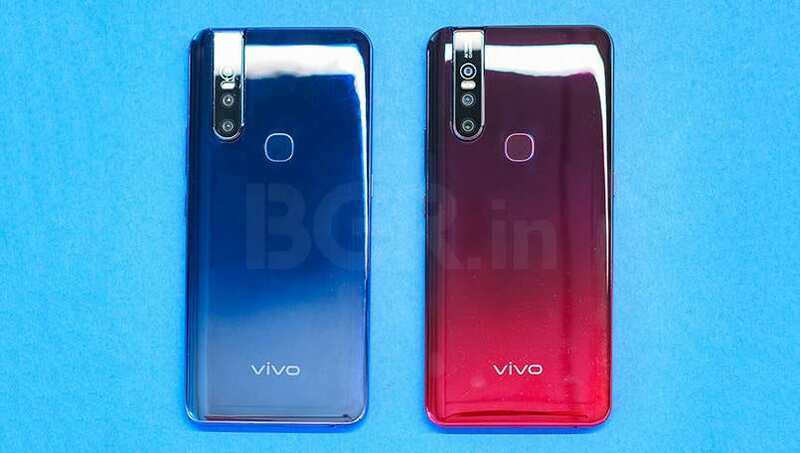 The latest Vivo V15 triple-camera phone is probably the most exciting offering (first impressions) under Rs 25,000. You not just get triple-camera at the back, but also a full-screen experience and a front elevating selfie camera on the front. 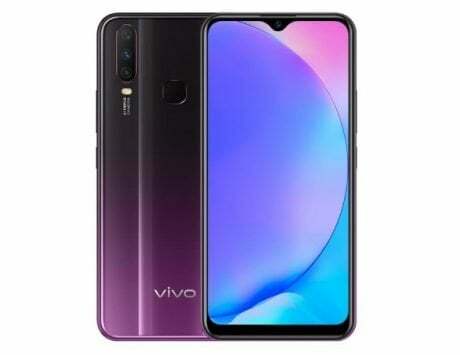 The Vivo V15 offers a triple rear camera setup that includes a 12-megapixel (dual-pixel) primary sensor, an 8-megapixel secondary f/2.2 lens and a 5-megapixel sensor with f/2.4 aperture. There is a full-screen 6.53-inch full-HD+ display on offer with a 32-megapixel pop-up camera selfie camera. It has been priced at Rs 23,990 in India for the 6GB RAM/ 64GB storage model. The Galaxy A50 comes in Samsung’s refreshed Galaxy A lineup, which it launched in February 2019. The company launched two variants of the Galaxy A50 in India. The base model with 64GB storage and 4GB RAM is priced at Rs 19,990. The top model with 64GB storage and 6GB RAM is priced at Rs 22,990. Among the highlights of the smartphone is the camera setup at the back. 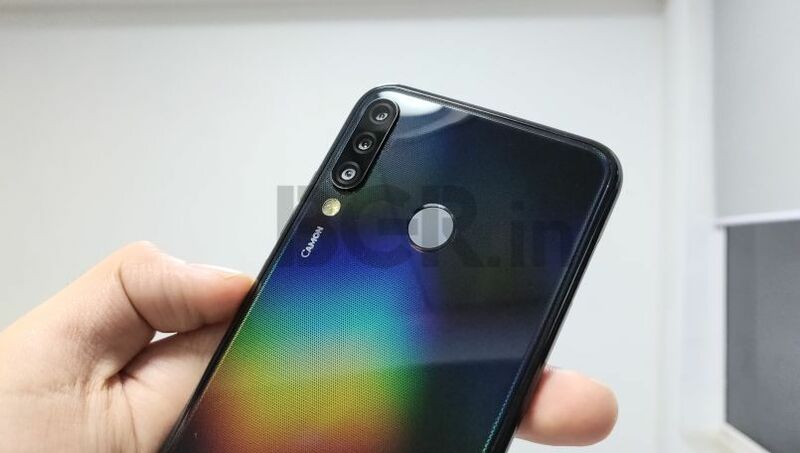 There is a triple-camera setup at the back consisting of a 25-megapixel primary sensor, a secondary 5-megapixel depth sensor, and a third 8-megapixel sensor with ultra-wide lens. For selfies and video calling, there’s a 25-megapixel fixed focus camera on the front. As far as specifications are concerned, the Galaxy A50 flaunts a 6.4-inch Super AMOLED display. Under the hood is an Exynos 9610 SoC, and for security, there’s an in-display fingerprint sensor. The device is backed by a 4,000mAh battery with support for 15W fast charging. The highlight of Galaxy M30 (full review) is the triple camera, big battery and Infinity-V display. 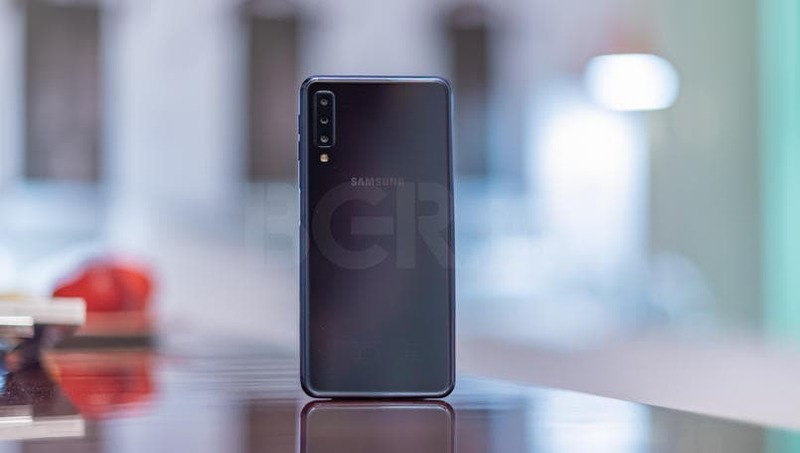 The setup at the back of Galaxy M30 includes a 13-megapixel main shooter with f/1.9 aperture paired with a 5-megapixel secondary ultra-wide camera and a third 5-megapixel camera, which acts as the depth sensor. For selfies, there is a 16-megapixel camera at the front capable of recording videos at 1080p. The smartphone has a rear-mounted fingerprint sensor and runs Android 8.1 Oreo. It is backed by a 5,000mAh battery. 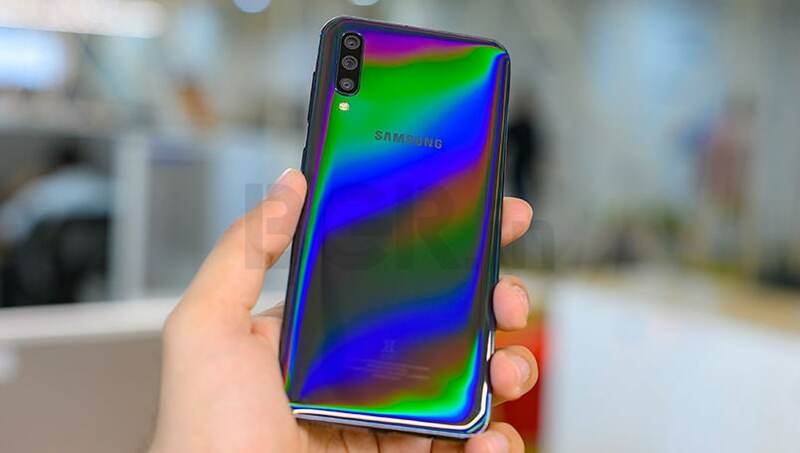 Samsung offers two variants of the Galaxy M30. The base model with 4GB RAM and 64GB storage is priced at Rs 14,990, whereas the 6GB RAM and 128GB storage variant is priced at Rs 17,990. It is the cheapest triple-camera phone in India as of now. Priced at starting Rs 9,599, the Tecno Camon i4 offers 2GB RAM with 32GB internal storage and triple-camera combination of a 13-megapixel primary f/1.8 lens along with two other lenses of an 8-megapixel and a 2-megapixel depth sensor. As far as the front camera is concerned, the handset sports a 16-megapixel camera for selfies (first impressions). There are total of three variants of Tecno Camon i4 in offline retail market. It comes in 2GB+32GB model, a 3GB+32GB model and a 4GB+64GB model. The base 2GB RAM variant is priced at Rs 9,599, and the other two can be purchased at Rs 10,599 and Rs 11,999, respectively.